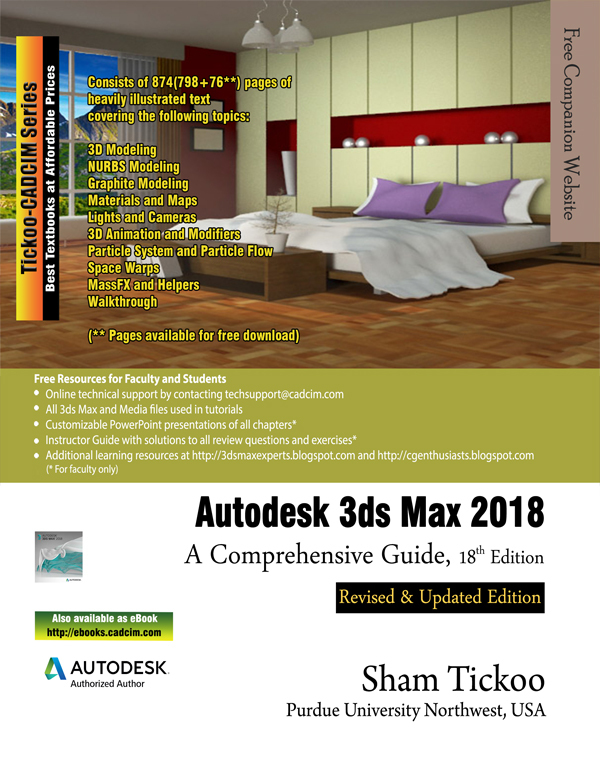 Autodesk 3ds Max 2018: A Comprehensive Guide textbook aims at harnessing the power of Autodesk 3ds Max for modelers, animators, and designers. 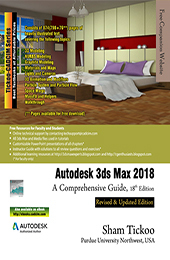 The textbook caters to the needs of both the novice and the advanced users of 3ds Max. Keeping in view the varied requirements of the users, the textbook first introduces the basic features of 3ds Max 2018 and then gradually progresses to cover the advanced 3D models and animations. In this textbook, two projects based on the tools and concepts covered in the book have been added to enhance the knowledge of users. Consists of 18 chapters and 1 project that are organized in a pedagogical sequence covering various aspects of modeling, texturing, lighting, and animation.